Information is sensed through observations using one’s eyes and ears, through touch, taste, and smell, supporting the development of thoughts in one’s mind. 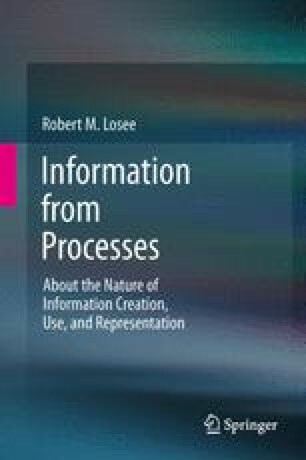 While philosophers, linguists, and psychologists continue trying to understand how we think, learn, and communicate, many questions remain about how information is stored and processed in the brain. The relationship between language and knowledge is the subject of extensive continuing philosophical debates. Cognitive scientists still attempt to explain the underlying basis for various internal representations and the relationships between them . For example, we have little understanding about how a deaf composer, such as Beethoven was in his later years, could compose such beautiful music as his Ninth Symphony, or how mathematicians blind since early childhood can produce major works of mathematics, manipulating formulas that they cannot see . Below, some philosophical positions will be considered in the studies of thought, language, and knowledge, as well as the nature of information producing processes in these different contexts.